Butterflies have four distinct stages in their growth cycle: egg, larvae, caterpillar and adult. The type of plants needed in the early stages of growth are often specific to each butterfly species. 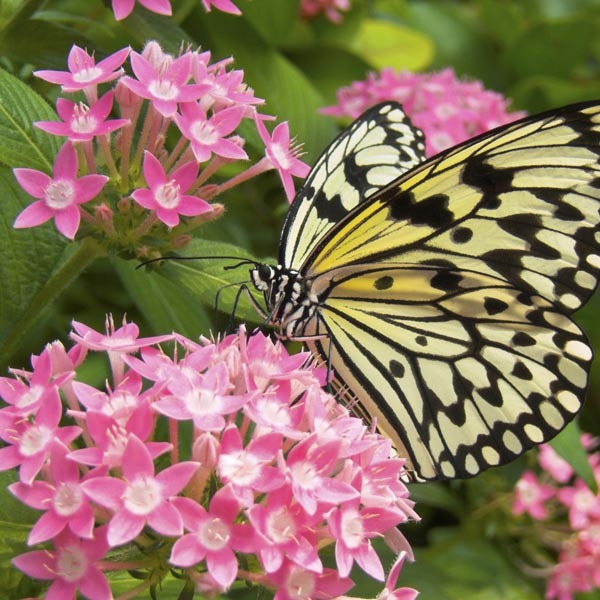 As adults, however, all species of butterflies rely on flower nectar to meet their high energy needs. Planting nectar-rich flower varieties helps adult butterflies stay well-nourished and allows you to enjoy the beauty and grace these gentle creatures bring to the garden. Plant near walkways, decks and patios where scent can be enjoyed. Makes a dependable mixed border plant. Perfect for all kinds of containers. Excellent for planting along fences and walls. Very easy to grow in virtually any location. Water regularly until established. Mulch annually to protect roots. Apply a slow-release fertilizer in spring.